Meantime Brewery was founded in 2000 in London. Brewmaster Alastair Hook is recognized for his creativity and was named Brewer of the Year in 2008 by the British Guild of Beer Writers. Working with Union Coffee Roasters, the brewery uses fairtrade Araba Bourbon beans from Rwanda’s Abuhuzamugambi Bakawa Cooperative in brewing its 6 percent alcohol by volume Meantime Coffee Porter. Meantime Coffee Porter is infused at the fermentation stage. The brew pours with a very slight head and there is a whiff of cocoa in the aroma. The beer opens with a sweet malty note that is balanced by a dark coffee bitterness. Cazadores means "hunter" in Spanish. The distillery was founded in 1922 by Jose Maria. Located in Jalisco, Cazadores expanded to a new facility in 1973. Cazadores Reposado is "rested" or aged on new oak barrels. Cazadores Reposado Tequila is a straw yellow color with an inviting sweet nose. There is a mellow agave flavor base that is surrounded by the wood. Fairly round and full in the finish. In 2006 Young & Co. Brewing of London merged with Charles Wells of Bedford, England. Young was known for its Ram Rod Bitter and Wells for its Bombardier Ale. The two brewers combined storied traditions, Wells going back to 1876 and Young going back to 1831. Wells Banana Bread Beer is a 5.2 percent alcohol by volume British ale that opens with an immediate and lingering Banana pudding nose. Amber color with a thin off white head. Wells uses fair-trade bananas that combined with the other ingredients give off a slightly tangy flavor profile. Vieux Carre Absinthe Superieure is named for what New Orleans locals call the French Quarter. The spirit is made at Philadelphia Distilling using grande wormwood, petite wormwood, fennel doux provence, green and star anise, melissa, genepi, hyssop and spearmint. Robert Cassell, the master distiller behind Vieux Carre, got his start in the brewing industry, having spent time at Harpoon, Victory and River City Ale Works. Absinthe is a liquor that has quite a bit of myth and mystery built around it. It was hugely popular in Paris during the late 1800s and early part of the last century. It ended up being banned for many years in the U.S. and some other countries because it was alleged to have psychoactive properties. Prohibitionists also charged absinthe could even cause a number of deadly illness. None of this was true, but the drink's negative perception spread quickly. The high proof and unchecked consumption of the day built absinthe's reputation. Many absinthe makers suggest serving the spirit using a process where water is dripped through a sugar cube and into a glass with absinthe. Philadelphia Distilling, in addition to offering up some cocktail recipes, urges you skip the sugar cube and instead cut it either 3:1 or 4:1 with water. I sampled it straight to get the flavor essence and then cut it with water. In its pure form the anise nose is strong and nearly overpowering. The light green color is bright and inviting. The 120 proof spirit is quite warming, but there is also a bunch of additional flavors. The anise is up front, but plenty of sweet and candy notes emerge. Mixed with water, the color clouds and turns slightly milky. The anise still dominates the nose, but the flavor mellows quite a bit. There are still some background notes to the anise and it feels like the spearmint comes a bit more to the front. Lagunitas Brewing Co. was founded in 1993 in Lagunitas, Calif., moving a few years later to Petaluma to a larger production facility. The brewery likes to foster the image of an outsider, fighting the man. It named a brew "Censored" after the original name -- Kronik -- was rejected by regulators. Another brew is called Undercover Investigation Shutdown Ale. The fact is that Lagunitas is part of the west coast's big beer elite. Hops and malt are pumped into their beers like gasoline goes into an older model Chevy Suburban. The results can be quite pleasing if you want a fuller flavored ale. Lagunitas Maximus calls itself "IPA Maximus Ale" on the label. At 7.5 percent alcohol by volume and 72.41 IBUs, its not the strongest IPA you will ever encounter, but it is packed with plenty of punch. Bright copper color, with a head that reduces down to a thin white covering. Nice citrus hop nose and the immediate flavor gives off plenty of grapefruit, pine and floral notes. This brew is not a one note song, there is good body from the malt that really balances off the brew. With a name like Porkslap Pale Ale you might expect the brewery to hail from North Carolina, but Butternuts Beer & Ale is located in the Upstate New York community of Garrattsville. The brewery, which is located on a converted dairy farm, is one of the new wave canning operations. For what it's worth, Maxim Magazine recently named Porkslap Pale Ale among its 25 Best New Beers in America. Porkslap Pale Ale pours a slightly cloudy amber with a healthy head. This 4.3 percent alcohol by volume ale has a moderate hop bitterness and balancing maltiness. The beer is said to have a touch of ginger, which is hardly detectable, but may explain the passing astringency in the aftertaste. Long Trail Brewing is located in Bridgewater Corners, Vt. The brewery, founded in 1989, is recognized for its environmental stewardship, having received the Vermont Governor's Award for Environmental Excellence. The brewery makes a number of different styles, primarily traditional English and German ales. 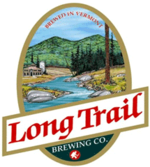 The brewery is named for Vermont's famed "Long Trail," a 272-mile hiking path that runs the length of the state. The brewery's brands are distributed primarily in New England. Long Trail Imperial Porter on draught pours with a thick chunky tan head and a rich malty aroma. The brew is 8.3 percent alcohol by volume and is a blend of six malts and four hops. The flavor starts with caramelized malt and hints of dark chocolate with a smooth, dry roasted base. Empire Brewing Co. first opened in Syracuse in 1994. The brewery quickly became a hit, with decent food and beer. It won medals at major competitions like the Great American Beer Festival. After expanding to Buffalo and Rochester the company ran into issues in those markets and ended up closing down all together in 2003. In 2007, Empire resurfaced and opened in its original Syracuse location. I made a visit back during that first year and found the service and the beer to be a shadow of the original. But if Empire has been anything, it is persistent. A stop this weekend found the place to be crowded and the beer back up to old standards. Empire Black Magic Stout is a 4.8 percent alcohol by volume Irish dry stout. While the pint I had would have been helped by a two step pour, it was still rich, creamy and smooth. A small, but lasting tan head was there throughout the pint. It had a full roasted grain nose. The flavor offered up hints of coffee and malt. Any pub in Dublin would be proud to pour this pint. OK, so this brewery is close to the Baseball Hall of Fame in the pure American burg of Cooperstown, but the label says they are just 3,264 miles from Brussels. It feels a bit closer when you sip this saison. 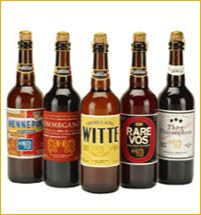 Ommegang Hennepin is named for the Belgian missionary that is credited as being the first European to see Niagara Falls. The brew pours a bright straw color with a head that reminds you of a frothy coffee drink. The flavor has some farmhouse funk, but has some pronounced crisp notes, too. A beer worth investigating. Green Flash Brewing is located in San Diego, which has emerged as one of the west coast's most creative brewing scenes. The brewery has been turning out interesting beers for seven years. 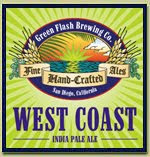 Green Flash West Coast India Pale Ale is an amber gold colored brew that offers up a nice firm tan head. The beer has a full hop aroma and the Columbus, Centennial and Cascade hops creates layers of flavor that are at once citrus, pine and rich tartness. The brew is 7.3 percent alcohol by volume and a hefty 95 International Bittering Units. Olde Mecklenburg Brewery has been around a relatively short period of time, but since opening its doors in early 2009 has been turning out some fine examples of German-style classics. The Charlotte brewery's OMB Copper is an excellent Dusseldorf altbier and its kolsner is a crisp refreshing pilsner/kolsch hybrid. Olde Mecklenburg strictly adheres to the Reinheitsgebot and follows traditional German brewing methods. The brewery distributes in the Charlotte area and has a tap room that is open Wednesday through Saturday. OMB Dunkel Lager is the brewery's winter seasonal. The mahogany colored beer pours an ample rocky head. Slightly roasted grain nose and a smooth, malty flavor profile. Approachable with a nice balanced body. Saint Arnold Brewing was founded in Houston in 1994. The brewery makes 10 different beers and is one of the leading southwest craft brewers. The brewery is named for Saint Arnold of Metz, who during the 600s told French citizens to drink beer and avoid water, thus saving thousands who would have died from tainted supplies. Saint Arnold Elissa IPA is made using a single hop variety, Cascades. The beer pours a nice golden bronze color with a relatively thick head that laces the glass. Floral hop aroma and a wonderful full flavor profile. Grapefruit and slightly pine backbone. Good body from a healthy amount of of malt. 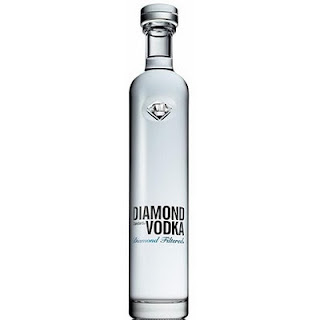 Diamond Standard Vodka is produced at Polmos Siedlce Distillery in Poland. Select Dankowski Diamond Rye is used, the spirit is distilled four times and then filtered through thousands of DeBeers diamonds. The bottle itself is pretty impressive, with a diamond shape cut near the neck. Vodka is the top selling spirit in the United States. By design vodka is traditionally a neutral spirit, but more and more flavored versions are on the market. Competition in the category is pretty fierce, especially at the higher end. Diamond Standard Vodka has a slightly woody aroma, but drinks very clean. It has a bright citrus finish. The 80 proof vodka sells for $72 a bottle. 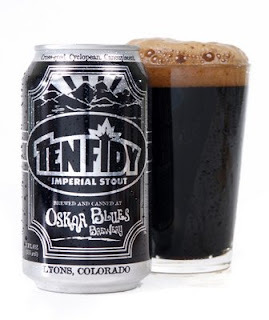 Oskar Blues Brewery had a brilliant idea when it started brewing in Lyons, Colo., in 2002. Craft beer in a can. They figured what was good for Natural Light and Milwaukee's Best would be even better for Dale's Pale Ale. In the beginning, they used a ridiculous table top machine to seal one can at a time, but the idea took root. And why not. Craft beer fans heading to the beach or park should not have to compromise. Pale ale in a can is one thing. Imperial stout is something else all together. Ten Fidy Imperial Stout's can has the tag line "this dog'll hunt." At 10.5 percent alcohol by volume, hopefully it hunts before the top is popped. This brew is as black as a liquid can get, with a rich chocolate brown head. The first thing you notice is that this is a beautiful beer with viscosity. Ten Fidy is a revelation in your glass. Rich, robust and bursting with roasted malt characteristics. Yet smooth and coating, with a warming finish. Chocolate, malt and cafe au lait all combine in the flavor profile. As far from a session beer as you can get, this ale still leaves you wanting the next one. Weyerbacher Brewing Co. was founded in 1995 by Dan and Sue Weirback in Easton, Pa., using the family's original German name. The brewery makes a cross section of English and Belgian beer styles, many in larger format bottles. Beer names like "Blithering Idiot Barleywine" kind of jump off the cooler shelf. 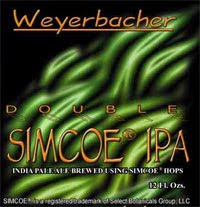 Weyerbacher Double Simcoe IPA is 9.0 percent alcohol by volume. It is a single-hop brew that uses the Simcoe hop, a hybrid developed in 2000. It pours a bright amber color with an off white head. The nose has a slight citrus note. The flavor is aromatic and carries plenty of hop bitterness, with grapefruit around the edges. Hop heads will love this one. Victory Brewing is a Philadelphia-area craft brewery that has made a name for itself with tasty brews like Victory HopDevil Ale and Victory Storm King Imperial Stout. 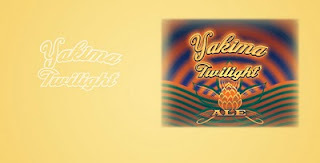 Victory Yakima Twilight is a salute to America's best known hop growing region, the Yakima Valley. A winter seasonal, the brewery uses four different hops grown in Washington state and roasted German malts. The result is a dark mahogany colored brew with a tan head that laces the glass. Plenty of flavor here with a good spicy lead. At 8.7 percent alcohol by volume, this ale has a warming edge. Rye is a misunderstood and often underappreciated style of whiskey. Nearly killed off by Prohibition, rye has a decidedly frontier heritage that is still at the forefront of whiskey trends. Under federal regulations, Bourbon must be at least 51 percent corn, while rye whiskey must contain at least 51 percent rye in the grain bill. Since both must be aged in new charred oak barrels, Old Potrero Hotaling's Single Malt Whiskey is technically not a rye because it is aged in ex-Bourbon barrels. 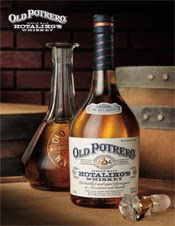 Old Potrero Hotaling's Single Malt Whiskey was first released in 2006 to commemorate the 100th anniversary of the disastrous 1906 San Francisco earthquake and fire. One of the few businesses to survive was the Hotaling's warehouse and its 3,000 barrels of Old Kirk Whiskey. This whiskey is a gold color and has a sweet caramel nose. Smooth with hints of berries, toffee and oak in a pleasing drink that lingers. New Holland Brewing from Michigan is one of a core of Midwest brewers that make some truly remarkable beers. The brewery started operations in 1996 and expanded to a larger second location ten years later. They also operate a quality micro-distillery. Brewery rep and good guy Joel Armato brought a couple of hard to find New Holland brews to the Flying Saucer in Charlotte this evening. While I enjoyed the Oak Aged Mad Hatter IPA (aged on Woodford Reserve barrels) a truly fabulous draught Dragon's Milk Ale Oak Aged really made the evening. This 10 percent alcohol by volume strong ale is aged on Heaven Hill Bourbon barrels. Rich and round, with a ton of malty backbone. Jet black with just an off-white ring for a head. Vanilla flavor notes, followed by a silky malted chocolate milk shake base, and plenty of depth. Very rewarding. Deschutes Brewery is located in Bend, Ore., along the scenic Deschutes River. The brewery traces its roots back to 1988 and now also has a location in Portland. Deschutes has a number of year round beers and seasonals, plus a couple of special series. Hop Henge Experimental IPA is part of the Bond Street Series and is available from January to April. According to the brewery, Hop Henge Experimental IPA is their "annual exercise in IBU escalation." And you can certainly taste the substantial amount of Centennial and Cascade hops, plenty of floral and pine needle notes. The beer pours a golden amber color with a robust off white head. Even at 95 IBUs there is a good amount of background malt in this beer for balance. Hop Henge weighs in at 8.75 percent alcohol by volume. Bodegas Trapiche is located in the Mendoza region of Argentina and was named Argentina Winery of the Year in 2006. Trapiche has been making wine for 125 years and you can find their wines in 80 countries. Mendoza is located in the foothills of the Andes Mountains and produces more than 60 percent of Argentina's wines. Malbec and Tempranillo wines have helped put the region on the world wine map, but you can also find excellent chardonnay and cabernet sauvignon from Mendoza at some very reasonable prices. Trapiche Pinot Noir is richer and has more dark fruit notes than I expected based on the medium red color and initial aroma. Made with grapes from vineyards at two distinct altitudes, there is ample bright fruit notes. The finish is dry with hints of oak and cherry. Perfect for grilled sirloin. The World Beer Festival returns to Columbia, S.C., on Saturday, Jan. 16th. This event is run by the folks who publish All About Beer Magazine and it is recognized as one of the better beer events in the southeast. Pints for Prostates will have a booth at the event, using the universal language of beer to reach men with an important health message. Please stop by and say hi. A limited number of tickets for the event are still available. They are $40 if purchased in advance and $50 at the door. You can get them at several merchants around Columbia or on the World Beer Festival website. Word is that all of the VIP tickets are gone. There are two sessions, Noon to 4 p.m. and 6-10 p.m. The organizers have added beers to the line up and pledge to have televisions on hand so football fans can keep up with the NFL playoffs. Crispin Cider is a relatively new brand founded by Joe Heron, the man behind Nutrisoda, which he created and then sold to PepsiAmericas. There are four varieties of Crispin on the market, all using west coast apples. The makers recommend pouring them over ice, which is a departure for most traditional ciders. 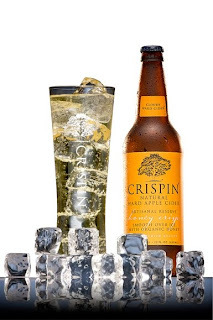 Crispin Honey Crisp Artisanal Reserve is made with organic honey. It pours a cloudy straw color, with a slight effervescence and a fresh apple nose. The texture is smooth with a moderate sweet palate. Refreshing and fairly clean. Goes well with roasted chicken or as a cocktail pour. Belgian brewer Dirk Naudts founded the De Proefbrouwerij in 1996. The relatively new and small craft brewery uses a 9-barrel brewhouse and twists traditional recipes. Witte Noire Imperial Amber Wheat Ale was created by SBS Imports President Alan Shapiro and Naudts as a companion to De Proef's La Grande Blanche Imperial White Ale. Witte Noire is a rich brown ale that has a thick tan head. The wheat used in the brew softens the flavor profile, while there is a good level of caramelized malt sweetness and some lingering spice notes. Smooth, yet flavorful, the ale would go nicely with a smoked turkey or roasted pork loin. The 7.5% alcohol by volume beer retails for around $10 per 750 milliliter bottle. Tom and Mary Stubbs originally planted chardonnay and pinot noir grapes in 1996 in Marin County, Calif., to sell to other winemakers. Before long the couple decided they should launch their own label of organic wines. Stubbs 2006 Marin County Estate Grown Chardonnay opens with a citrus aroma and has a nice lemon and mango flavor profile. The wine has a good level of acidity. Oak shows itself, but does not over power the fruit. The Lost Coast Brewery and Café opened in 1990, the result of a dream by Barbara Groom, a pharmacist, and Wendy Pound, a family counselor, to run their own brewpub. Since then, the Eureka, Calif., brewery has expanded, adding a production and bottling site nearby the original brewpub that still operates in a 100-year-old building. You can get their beer in more than 20 states. Lost Coast Tangerine Wheat Beer is a cloudy orange-gold color with a thin white head. There is a prominent orange zest nose and a solid level of citrus in the flavor profile. A very refreshing 5 percent alcohol by volume beer. Post House Vineyard is located along South Africa's False Bay coast in the Stellenbosch region. The first experimental batches of wine were made on the estate in 1996 and it began commercial production a couple of years later. The winery gets its name from a post office that was once on the property and Penny Black is named for the first stamp printed in the world. Post Road 2006 Penny Black is a rich purple-black blend of Shiraz, Merlot, Cabernet Sauvignon and Petite Verdot. The wine has a light, fresh nose and the first taste offers hints of fig, light tannins and a good hit of pepper. Good and firm, but not too heavy. I had not had one of these cocktails in years, but spied a can of ginger beer on the back bar a Tommy Bahama's in Sarasota and figured it might just take the chill out of the Florida night. The Dark 'n Stormy is pretty much the official drink of Bermuda and the local rum, Gosling's, has slapped a trademark on the name. It is easy to make and darn satisfying. 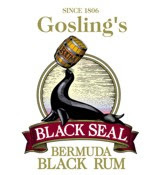 In a cocktail glass, fill with ice, add 2 ounces of Gosling's Black Seal Rum and top with Gosling's Stormy Ginger Beer. Garnish with a lime wedge. Stir the ingredients and you are set to go. Deschutes Brewery in Bend, Ore., is one of America's finest craft brewers. If you doubt this fact, just match up a few of their beers against a few of your favorites. There is a consistent level of performance from the Deschutes brewhouse that deserves respect. The announcement was that Cinder Cone Red was being retired and it was being replaced by Red Chair, which is named after an old chairlift operating at Mount Bachelor. Red Chair NWPA will be a seasonal January to May release from the brewery. It has a rich amber gold color, with plenty of aromatic hops as you pour the brew. The 6.4 alcohol by volume beer is a crisp 55 International Bittering Units that are fresh and carry a bit of newly cut pine and citrus flavor notes. Enough flavor to satisfy fans of Cinder Cone Red and make a few new friends along the way. The Balvenie Distillery has been making single malt Scotch whisky in Speyside since 1893. Age expressions in whisky comes in all formats, 12, 18 and 21 being among the most popular when it comes to Scotch makers. The folks in Banffshire have decided that 17 years old is the magic number for The Balvenie. David Stewart, the master distiller at The Balvenie has been making whisky for 47 years. His collection of 17-year-olds includes single malts aged on everything from new oak to rum casks. The latest, released in 2009 was first aged on ex-Bourbon barrels and then transferred to casks that had previously held Portuguese Madeira wine. 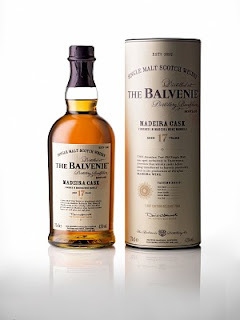 The Balvenie Madeira Cask 17 Year Old is an 86-proof spirit that has a new penny copper color and opens with a slightly fruity nose. The flavor profile is smooth and long. Hints of vanilla, apricot and a passing maple note play out as you sip this single malt. Perfect for a January day. Ryan Sullivan's Imperial Stout was created in 1996 to honor the bagpipe player who appears at Moylan's Brewery & Restaurant in Novato, Calif., every St. Patrick's Day to play tunes to mark the holiday. Moylan’s Ryan Sullivan’s Imperial Stout is black as a moonless night. A rich mocha head stays thick throughout and the malty aroma is very inviting. This beer gets its rich complex flavour from a total of nine different malts and has enormous flavors: roasted sweet malt base, touch of vanilla, espresso, fig and hint of cocoa in the finish. True to it's imperial stout roots, Ryan Sullivan's weighs in at 10 percent alcohol by volume. Finca La Linda 2007 Bonarda from the Mendoza region of Argentina is made with 100 percent of a grape that is typically used for blending in South America. Don't be concerned if this is your first "Bonarda" experience, you won't be alone. La Linda 2007 Bonarda is a ruby red wine with a mild alcohol nose. Dark fruits dominate the flavor. Plums and ripe raisins open to a moderate amount of tannins. It has a good level of oak and even a slight smoke in the finish. A good match for a steak or pasta with a hearty red sauce. The wine is 14 percent alcohol by volume and an affordable $11 per bottle. Tired of Champagne already in 2010? 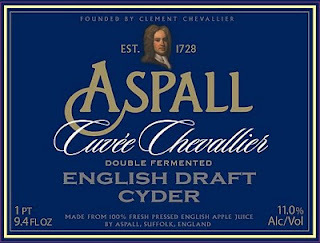 You might want to give Aspall Cuvee Chevallier Double Fermented Cyder a try. Produced by Aspall Cyder House of Suffolk, England, which dates back to 1728, and imported by SBS Imports of Seattle, Washington, Aspall Cuvee Chevallier is a sparkling cider produced from apples higher in acid and lower in sugar content, so it has many of the tart characteristics of classic Champage. There is a slight musty apple note to the nose and the cider has a straw yellow color. Nice crisp finish that will go well with many meals. Aspall Cuvee Chevallier is sold in cork-finished 750 milliliter champagne-style bottled, so you may be tempted to try to fool your friends. The 11 percent alcohol by volume cider sells for around $16 a bottle.